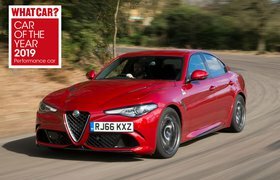 2019 Alfa Romeo GTV – what we know so far | What Car? Coupé versions of executive saloons are nothing new: the Audi A5 is a sleeker version of the award-winning A4, while Mercedes’ C-Class, E-Class and S-Class coupés are – you guessed it – coupé versions of the saloons on which they’re based. 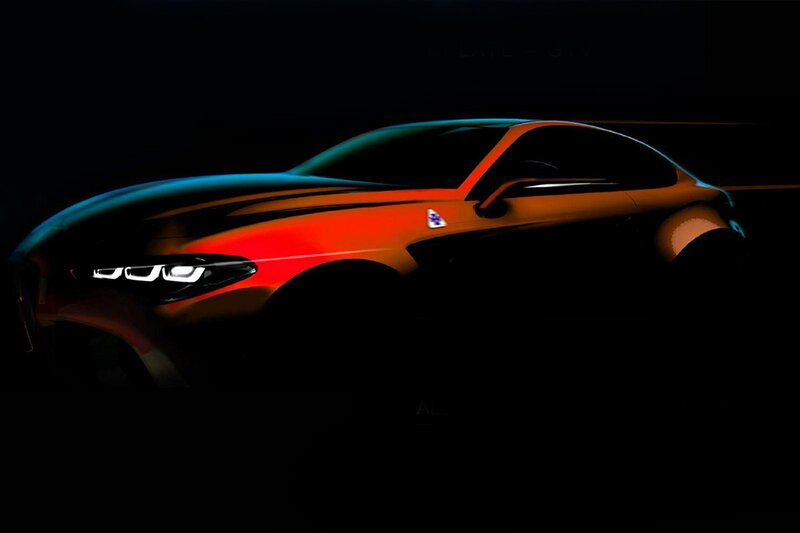 Now Alfa Romeo is joining the fray, creating a coupé version of its Giulia saloon. Called the GTV – a badge that was last seen in 2004 – the new car will rival the aforementioned Audi A5 and Mercedes C-Class Coupé, as well as BMW’s 4 Series. The GTV will feature a new front-end design to mark it out from the saloon, as well as a lower roofline and longer doors to provide better access to the rear seats. Although expected to appear first in three-door form, a five-door variant of the GTV is under consideration to compete against the Audi A5 Sportback and BMW 4 Series Gran Coupé. At the heart of the GTV’s engine range will be the same 197bhp and 276bhp 2.0-litre petrol engines that are on offer in the Giulia, as well as a 503bhp V6 petrol in the Quadrifoglio version. Interestingly, however, Alfa Romeo is also developing a mild hybrid-style energy recovery system, which will allow energy normally lost in braking to be harvested and used to assist the engine in acceleration. 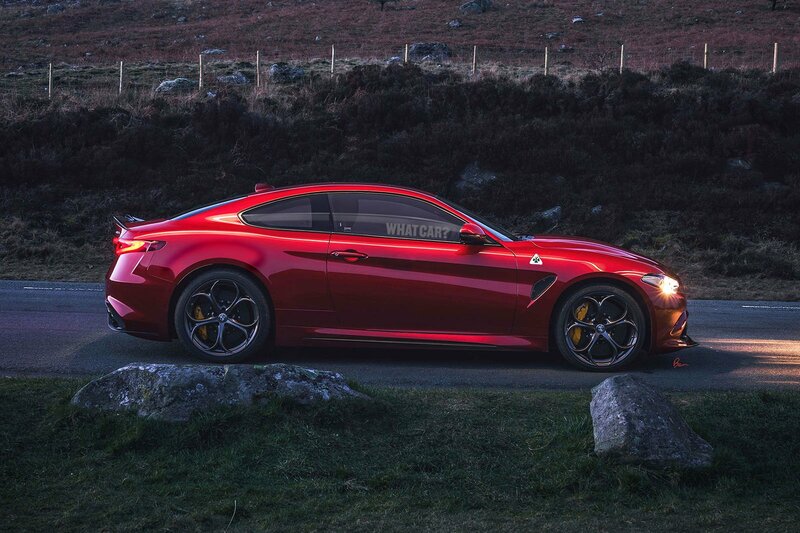 Only higher-powered versions of the GTV are set to feature the technology, which is said to boost the Quadrifoglio version’s output to 641bhp for short bursts – such a figure will give the GTV more power, briefly, than McLaren’s 570S sports car. Inside, the GTV is expected to be almost identical in terms of dashboard layout to the regular Giulia, featuring the same 8.8in infotainment system controlled by a rotary dial on the centre console. The same Super, Speciale, Veloce and Quadrifoglio trim levels should be offered, too. In the regular Giulia, we recommend upgrading to Super trim because of the extra interior luxury it brings, along with part-leather seats and wheel-mounted paddles for the eight-speed automatic gearbox. Although the GTV will offer four seats, expect the rear bench to be best left for children and smaller adults on short journeys. Prices have yet to be revealed, but a premium of around £3000 over the standard Giulia saloon seems likely for the GTV, giving the car a starting price of around £35,500. Such a price would make the GTV slightly more expensive than its key rivals. A GTV convertible is also on the cards, and is expected to go on sale 18 months after the GTV coupé arrives in showrooms. A new version of Alfa Romeo’s 8C sports car is also planned. Has the Alfa Romeo GTV whet your appetite for a coupé? Well, here are 10 coupés of all sorts of shapes and sizes to choose from. Some place the emphasis firmly on fun; others are practical and cost-effective enough to use every day. But they all have two things in common: all of them look and feel great to drive, and all are available for less than £10,000. A cut-priced Aston DB7 was how the Jaguar XK8 was described when new and, with its flowing looks, it isn't hard to see why. Granted, the rear end is a little bulbous, but that was because Jaguar needed to make sure its customers' golf clubs would fit, so it does mean you get a huge boot. 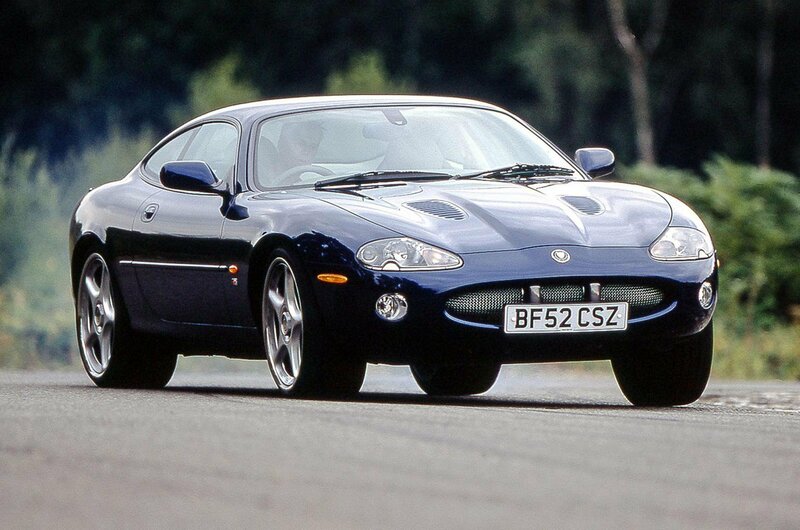 We won’t pretend that a Jaguar of this age will be cheap to run, but reliability was generally good thanks to Ford parenthood, and the XK8 has to potential to appreciate if you find a good one. Plus, you get a V8 soundtrack, which will make you feel great every time you drive it. 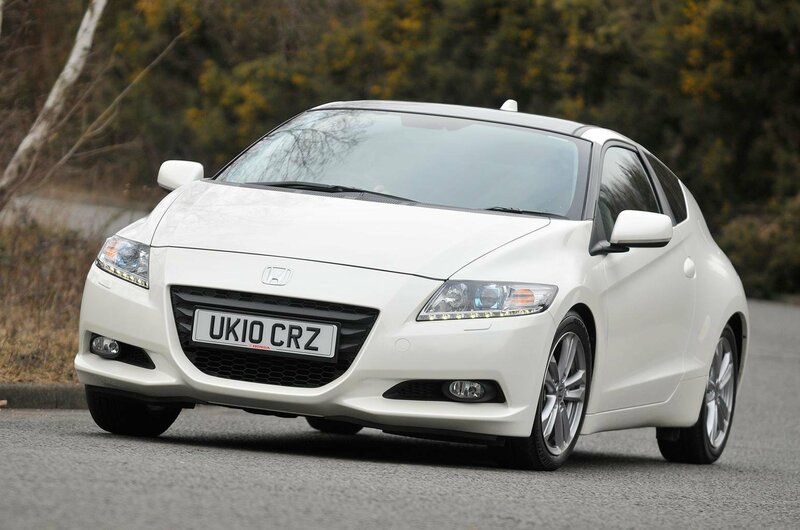 If you're looking for something a little easier on the wallet, why not the Honda CR-Z? Not only is it very reasonably priced now, but it will also sip fuel very slowly and, fortunately, be very reliable too. But that’s not the end of the positives, because this Honda is also good fun to drive. Unlike most hybrids, this one has a manual transmission, with the electric motor assisting the little 1.5-litre petrol engine to give it a bit of extra power when needed. It isn’t the biggest or most practical coupé out there, but if it were bigger, it wouldn’t be quite as darty and nice to handle as it is. This quirky coupé is an interesting alternative that you don’t have to suffer to own. A bit of a brute: the Nissan 350Z has a thumping 3.5-litre V6 that sounds raw and bassy, a firm ride and huge reserves of grip thanks to those wide, low-profile tyres. Like the Honda, practicality is compromised slightly, although this time it is because the strut brace – it helps to prevent the suspension from moving out of geometry during hard cornering but eats into boot space. The 350Z is a fun car to drive, though, with well-weighted steering that provides plenty of feedback to the driver. 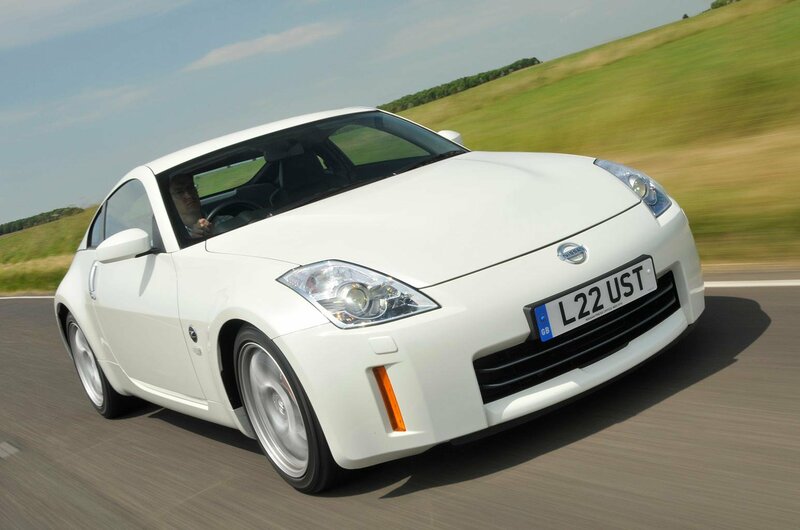 And for a car with a big engine, rear-wheel drive and muscle-car looks, the 350Z is now something of a bargain.